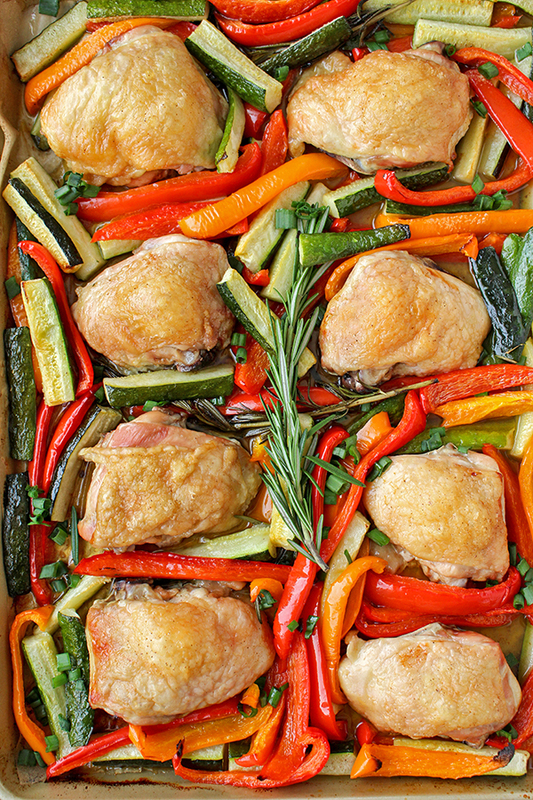 This Paleo Crispy Chicken Thigh and Vegetable Sheet Pan Dinner is easy and so flavorful! 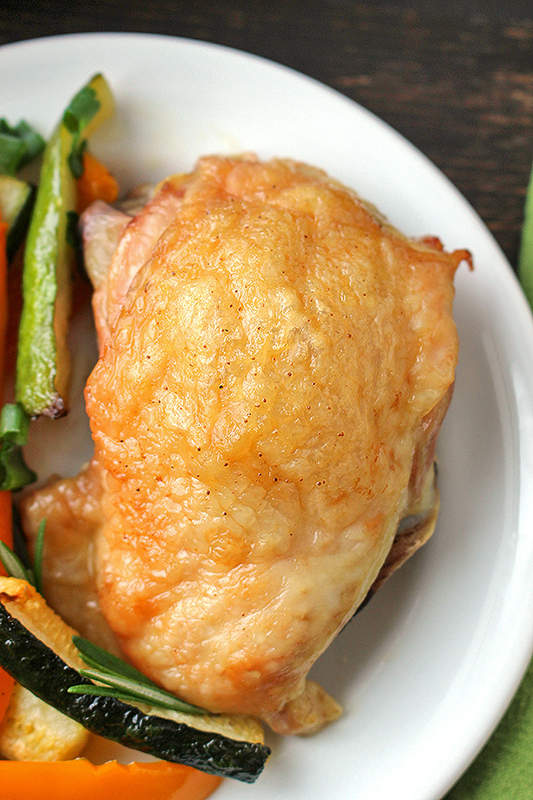 Juicy chicken with crispy skin and perfectly cooked veggies. 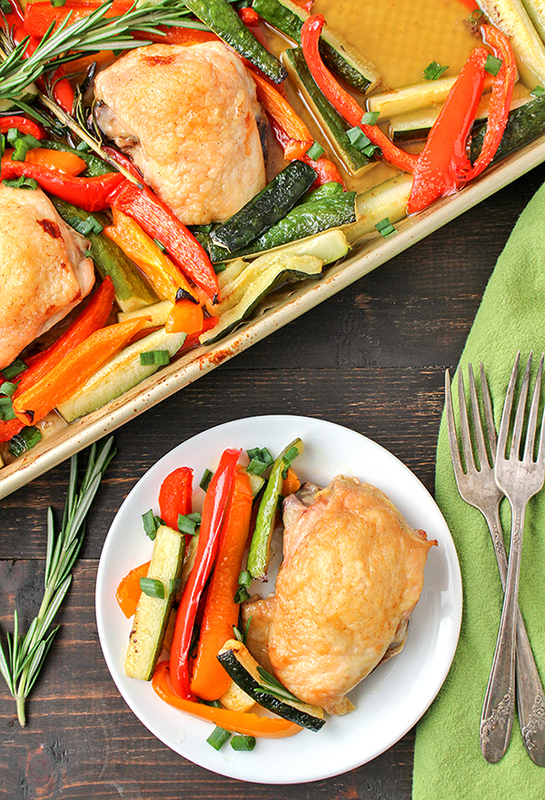 A great Whole30, gluten free meal. 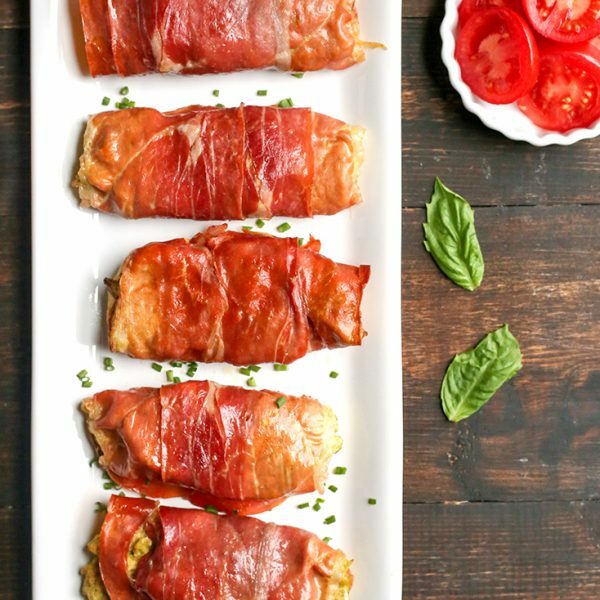 This recipe is from Craveable Keto the cookbook by Kendra of Peace, Love, and Low Carb. It’s a beautiful cookbook packed with so many tasty recipes and beautiful photos. No, this is not a strict paleo book as there are recipes that contain dairy, but it’s very easy to use substitutes and she even makes a note of it on some recipes. There is so much cross-over, like using almond and coconut flour and recipes with lots of veggies and healthy fats. And if you can tolerate dairy, this book will be even more amazing for you. 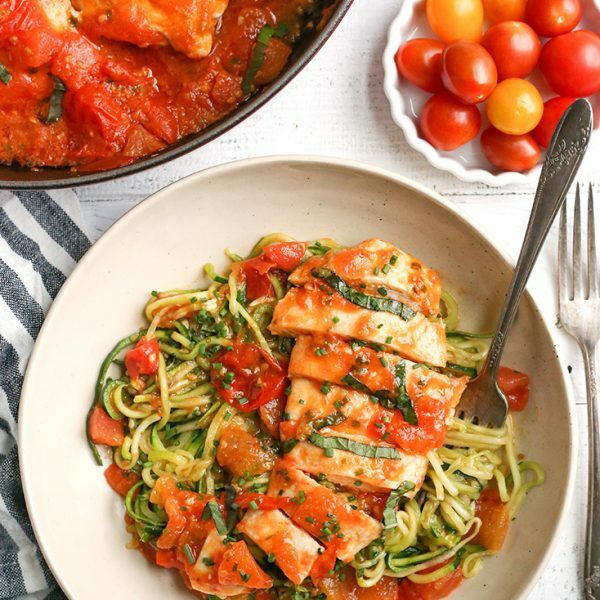 The cookbook has more than 145 low-carb recipes and five different weekly meal plans. She gives tip and tricks for transitioning to keto and how to stock a keto kitchen. It is such a useful guide and I know I’ll be cooking out of it more. Why I love this dish and you will too! It’s easy and super delicious. 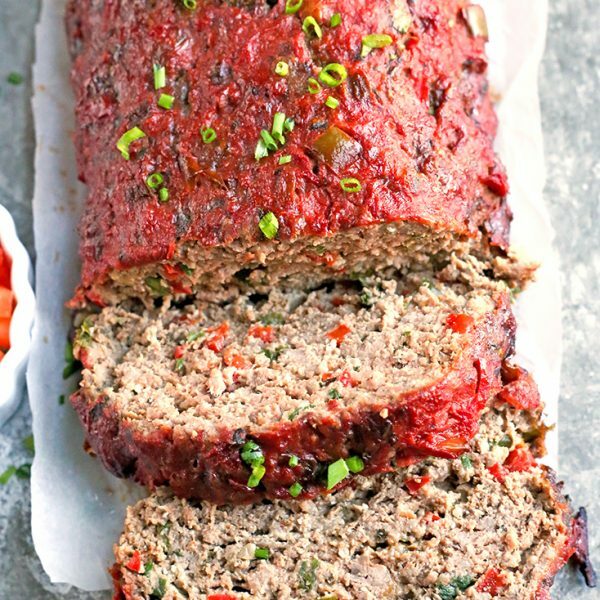 It’s all baked on one pan so it’s a complete meal. 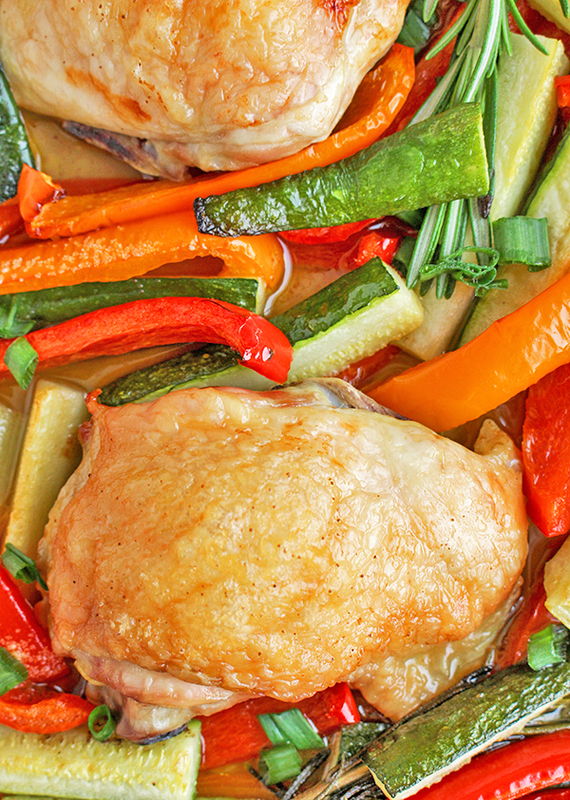 The veggies get soft and tender and the chicken gets crispy while still staying juicy. I cut all the veggies a day ahead so it literally came together in just minutes. And of course clean up was so easy! Note that I did use some different veggies to keep it low fodmap. I will write the recipe as-is and make a note of my changes. That’s a nice thing about meals like this- they are so customizable to what you like or have on hand. 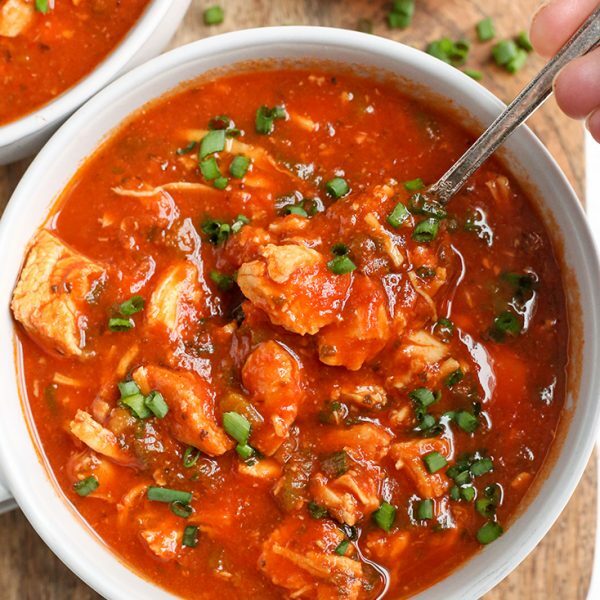 CLICK HERE for The Craveable Keto Cookbook. Some more recipes I’m looking forward to trying from the book are the Asian Beef Skewers, Warm Taco Salad, Zuppa Toscana and Flourless Chewy Chocolate Chip Cookies. Yum! 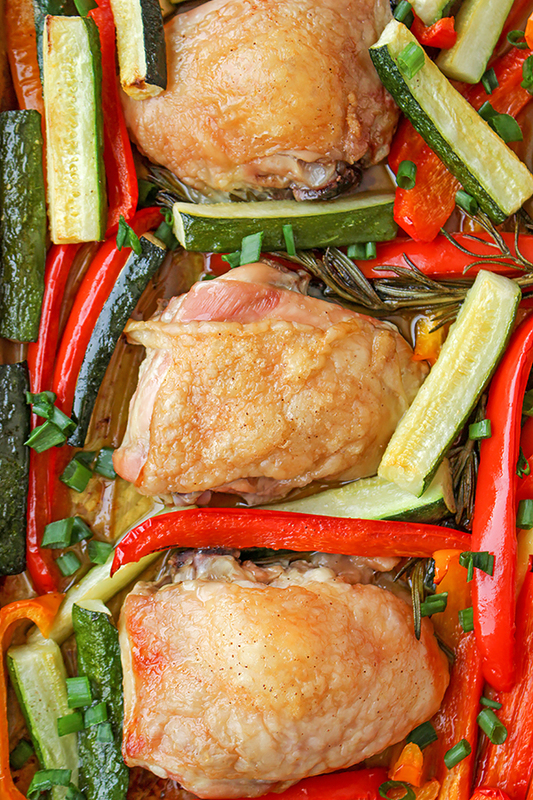 Here are some more chicken thigh dinners that you will love: Paleo Lemon Butter Chicken, Paleo Pizza Chicken, and Paleo Tomato Balsamic Chicken.